Using traditional weaving techniques and old patterns, these beauties are unique pieces of exceptional craftsmanship. 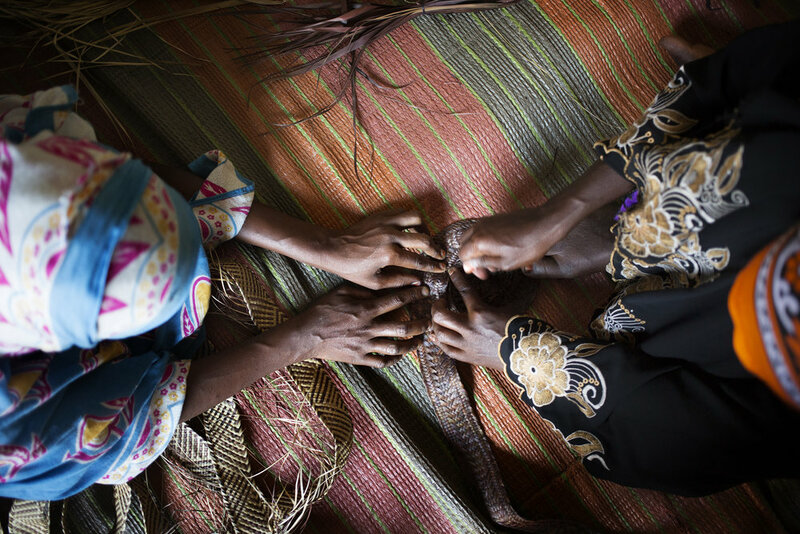 Every basket is carefully and individually made by female artisans in the villages of Zanzibar. 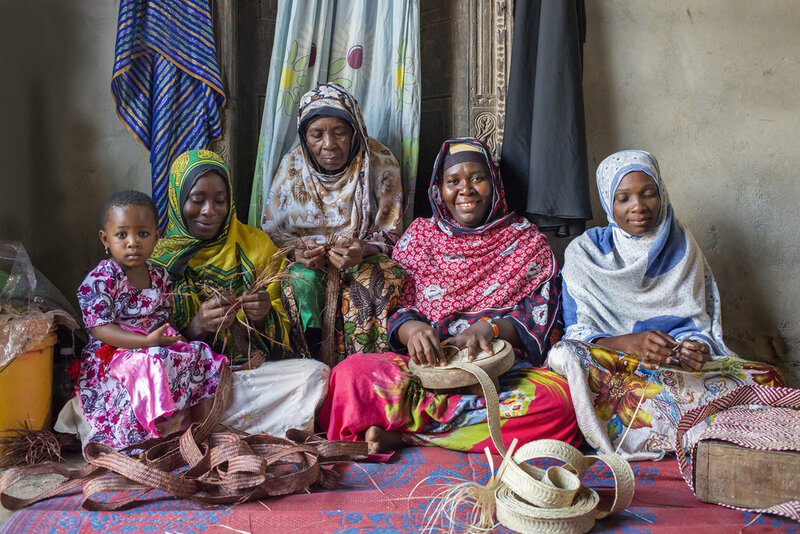 Meet Hadija and her friends, weaving our Zanzibar baskets from their homes. By using the soft palm leaves from the wild date palm, they become light and flexible without sacrificing durability. The weaving of these baskets is very labour intensive, as it can take up to more than a week to complete one. The techniques that are used can be very complex and are passed down from generation to generation, going far back in time. Everyone in the family contributes to the work, small children start learning the techniques by splitting the folded leaves. The oldest woman of the household will always start the weaving to show appreciation of her knowledge and bless the work. Every pattern is named after something it resembles. The patterns in an old plaited mat can tell us a whole history. The trend in Africa towards modernizing all items of daily use is affecting the traditional artistic work. Traditional baskets are becoming unfashionable and are replaced by cheap plastic models. Therefor together with MOTO Zanzibar and the local women, we strive to keep the techniques and tradition alive. MOTO is a community that brings over hundred skilled artisans in Zanzibar together. With your purchase, you value ancient Swahili traditions, support community trades and contribute to a sustainable local economy.